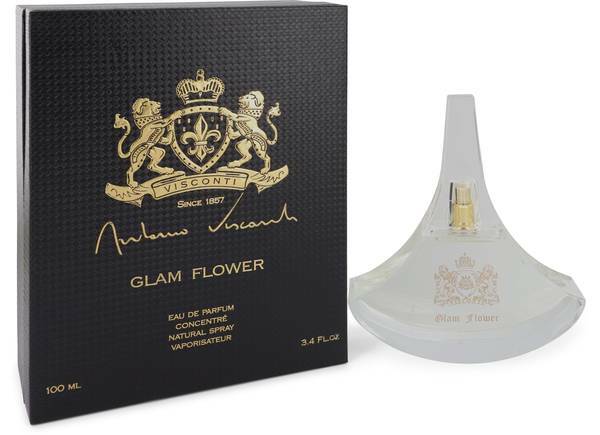 Glam Flower Perfume by Antonio Visconti, Glam Flower is a perfume for women from the Esprit Libre collection, made exclusively by Italian fragrance creator Antonio Visconti. When the top of this elegant vial is removed, lively top notes of lime, calycanthus and bergamot awaken the senses. Warm and floral middle notes of honey, violet leaf, Tiaré flower and damask rose follow. Finally, woody and warm base notes of sandalwood, amber, patchouli and white musk round out the fragrance. The bottle Read More Read More for this fruity, flowery perfume is handcrafted, and its design is inspired by the phases of the moon, as are each and every one of the luxurious bottles in the Esprit Libre line. The Visconti family began working in perfumes early in the 20th century. Careful blending techniques involving lengthy aging processes and specialized procedures are signatures of the brand. 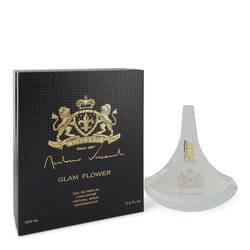 The perfume essence concentration in each fragrance is also high, keeping the perfume alive on the skin. All products are original, authentic name brands. We do not sell knockoffs or imitations.